Two New England states, two Democratic governors, two very different outcomes for the climate. In the early 2010s, Vermont governor Peter Shumlin prodded the Vermont Yankee nuclear power plant into an early retirement. All the right people had urged him to do so: Bernie Sanders wanted the plant on the Connecticut River gone. The Conservation Law Foundation said it was “worth more dead than alive.” Ben — yes, part of the eponymous ice cream duo — wanted to shut the plant; Jerry, too. The consequence of listening to such experts was an increase in greenhouse gas emissions from New England, and a hole in the region’s energy grid that will haunt it for decades. Vermont’s greenhouse gas emissions have gone up more than the nation’s as a whole, putting the lie to its green self-image. Fast forward to Friday, when the governor of Connecticut, Ned Lamont, announced an agreement to save the largest nuclear power source in New England, the two Millstone reactors in Waterford, Conn. The six New England states share a power grid, and Connecticut’s leadership means the region will not lose its single largest source of carbon-free electricity. The intervention — like a similar deal in New York — was necessary because even existing nuclear power plants are not price competitive with natural gas generators. But that’s only true because of a flaw in the design of the deregulated electricity markets that were introduced in the 1990s, and which didn’t put an adequate price on carbon emissions. Markets can’t have the last word. If climate change is viewed as an existential threat, then keeping clean power sources from disappearing, even through out-of-market intervention, ought to be common sense. But even ostensibly climate-focused groups in New England keep up a pro forma opposition to nuclear power, as if to honor their roots, or say it’s okay to shut plants as long as they are replaced with renewable power. But “replacing” nuclear with renewables doesn’t make any sense as a climate policy. To the extent the New England states can add wind and solar power, they should — but it should replace conventional coal and natural-gas fired plants. The region needs to add clean power, but it also needs to keep the zero-carbon sources that it already has in order to avoid treading water. The fact that Vermont Yankee is gone means that, for decades to come, New England will be those 620 megawatts farther away from a decarbonized power grid than it would have been with the plant online. 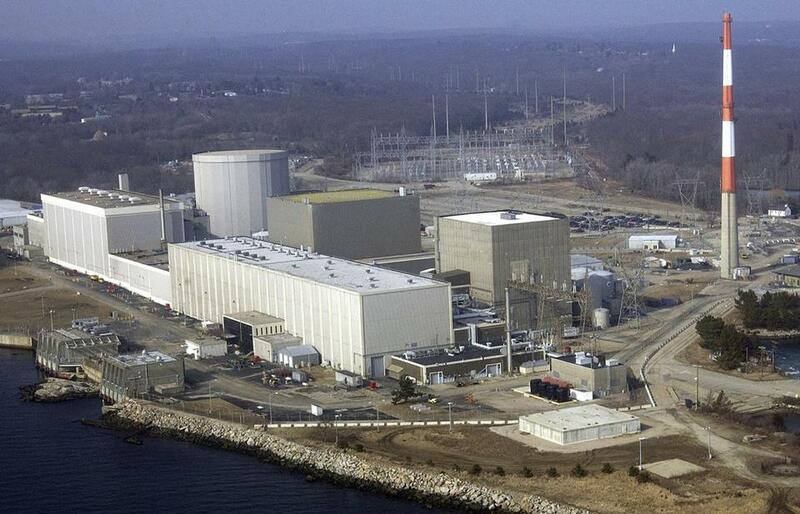 The impending closure of Pilgrim Nuclear Station in Plymouth will deal a similar setback. Allowing Millstone to retire would have set that goal back even more, and leave Seabrook in New Hampshire as the last nuclear power generator in New England. Last year, the United Nations’ Intergovernmental Panel on Climate Change said that every pathway to avoiding the worst impacts of climate change involved at least some nuclear energy, which provides an always-on complement to intermittent renewable power and requires less land. Most scenarios involve adding more. Taking the UN’s warnings seriously should also mean taking seriously the solutions it says are needed, no matter how unpopular, and it’s a breakthrough that one New England state has.